A very quick bit of desoldering this morning shows that the solar cells produce >1.6v even indoors, rising under direct artificial light and approaching 3v in the sunshine. Hardly surprising given their original purpose but I wanted to be sure. Looking at the circuit showed they have a little special purpose chip (YX8018) to control things. 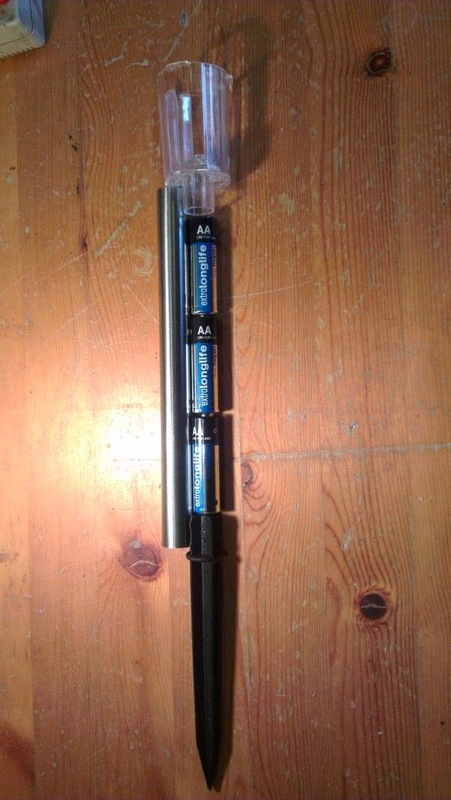 I did wonder how a 1.2v battery was going to turn on an LED with a 2v forward voltage. It seems I'm not the first person to think these lights will make a good housing for a microcontroller based project. 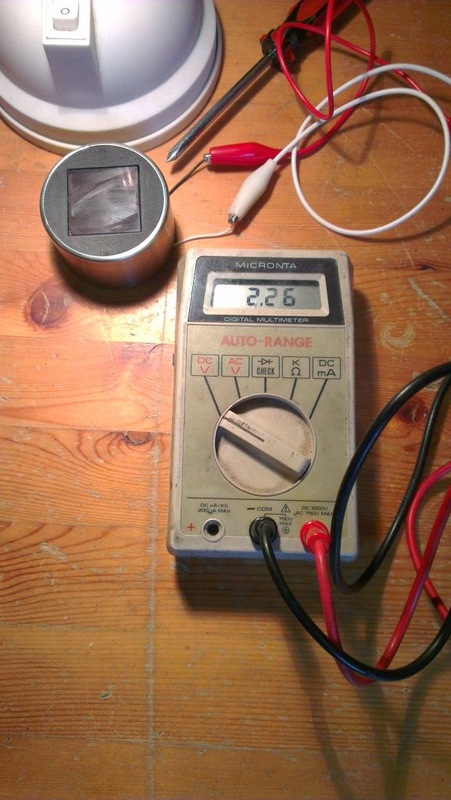 They've also looked at using the solar cell and YX8018 for power and decided it really doesn't cut the mustard. No matter, I'm mostly interested in the housing for the RFu and was thinking of replacing the single AAA with 2-3 AAs in the pole anyway. Three fit almost perfectly and cutting away the battery housing inside the top would make a load more space. more. Not enough for what I want and that will be worse when I add sensors but it's enough to mess around with. 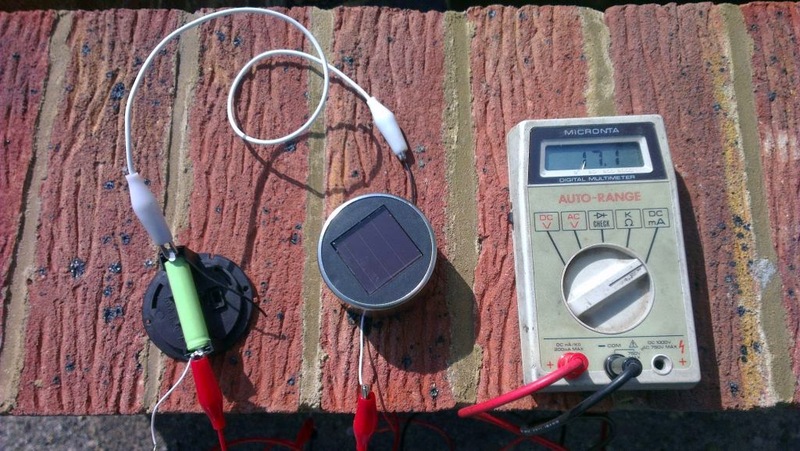 Update: Connecting it up to the battery and taking it outside shows a charging rate of 15-20mA is perfectly possible in the sun. This sounds to me like the panel can be used to give a useful boost charge but not enough to do much with on its own. It also seems to have a blocking diode built in as the battery doesn't discharge through it if you cover it.